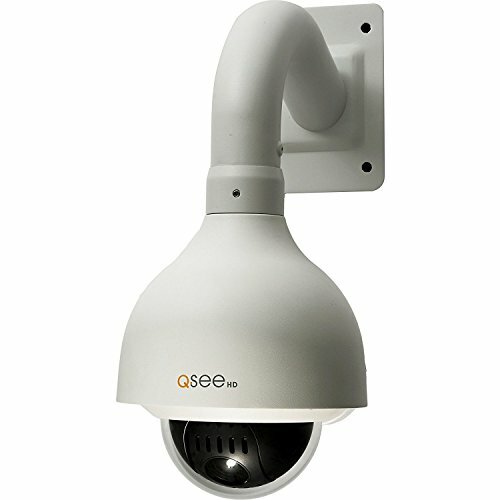 Q-See’s 1080p dome-style internet protocol camera stands at the higher end of the market for mounted surveillance cameras, and boasts a ton of features to boot. Despite this, it’s one of the more competitively priced examples of devices in its bracket. As part of the Q-See NVR family this camera comes with all of the benefits one would expect: digitally adjustable zoom, enhanced connectivity via the Q-See app, and digital recording. As with other Q-See systems in this range, the camera transmits data and power simultaneously over an Ethernet connection, meaning you’ll benefit from centralising your network control with the help of their proprietary software. Q-See applications will run on iOS, Android and Windows so there’s no need to worry about compatibility with your existing hardware. Power-over-Ethernet (PoE) systems are power-hungry but consistent performers, meaning reliable transmission of HD footage over the network; you won’t have to worry about packet loss or signal weakness as you would with Wi-Fi-enabled cameras. The camera is ideal for outdoor use, but is of an unobtrusive-enough design to prevent it standing out in larger private residences and businesses. It is a little bulky however, so consider this if you’re planning to install in a room with lower ceilings where it may prove noticeable. Of foremost concern with a camera in this price range is image quality; the QCN8035Z is classed as a high-definition camera, able to transmit 1080p true-HD footage continuously. At this resolution there should be no issues distinguishing between objects and individuals even at the camera’s maximum 30x zoom range. The camera’s decent 30x zoom is achieved optically, though there is also a 16x digital zoom option. Digital zoom is essentially a form of advanced image-processing utilising a combination of image scaling and pixel interpolation; optical zoom is generally superior so it’s good to have both available to you. It should be noted that zoom functions only operate with other QCN systems or as a standalone unit – this means no functionality with other proprietary control systems. 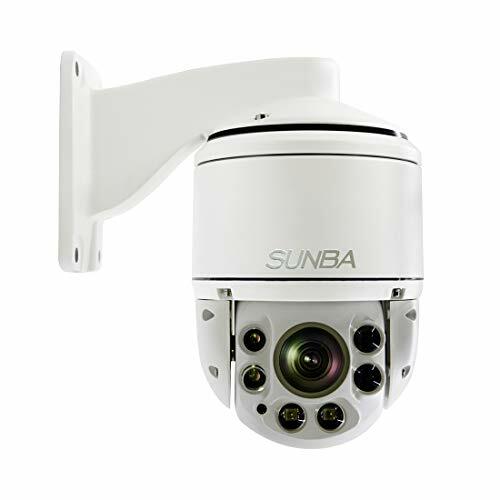 As with other QCN cameras, this device features backlight compensation, meaning higher-quality images in situations where objects or individuals of interest are silhouetted by strong lights or the sun. This is particularly useful for external cameras or businesses with strong lighting. 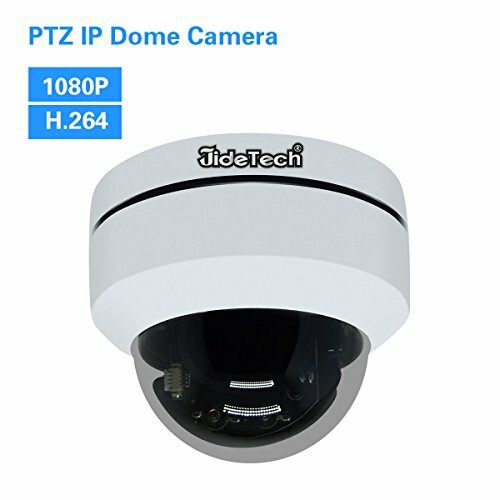 The camera is environmentally sealed and features an IP67 resistance rating, which means sufficient solid and liquid protection for outdoor use. The camera keeps out dust, and can even survive brief immersion in water, so the rain won’t do it any harm. The housing is solid and sturdy, and the 3-axis mounting point means vandals will have a difficult time twisting it away from its bearings. 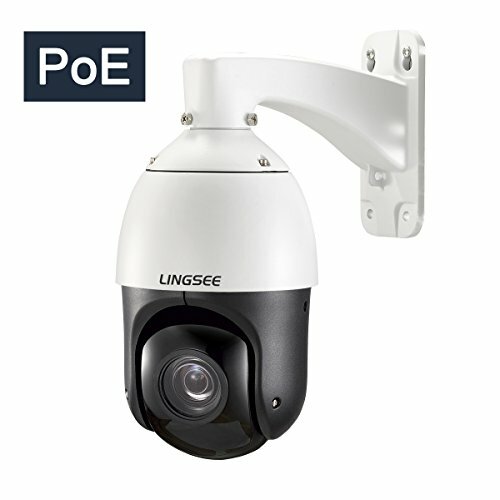 The QCN8035Z is powered and operated via a PoE network connection, which means all of the advantages and disadvantages that come with it. 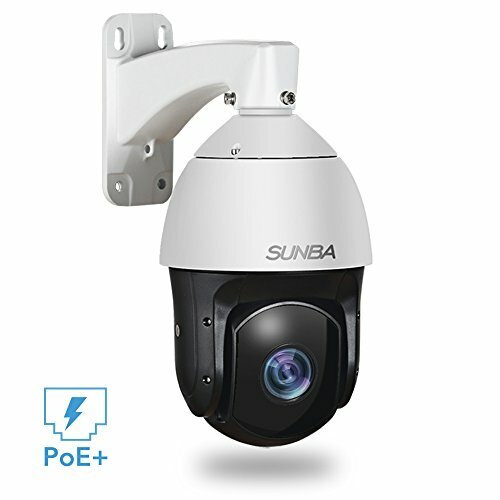 The most significant advantage for this camera is connectivity with other Q-See systems, as it can be very easily wired up to a larger surveillance network without too much DIY work, especially if it’s mounted outside. Once hooked up to a Q-See NVR the camera can be controlled remotely by your and 20 other users (specified by yourself) anywhere in the world. PoE also means comparatively easy maintenance, which is useful as the power demands and physical nature of PoE systems means occasional wear-and-tear when in constant use. Repair work or cable replacements are occasionally necessary. Good standard Cat5 cable should be sufficient to power and operate cameras like this one, so the material is readily available. Q-See also operates a helpline and offers free lifetime technical assistance to those who purchase their systems if you’re in need of installation advice. As an added benefit, the device features pan and tilt (PTZ) functionality alongside its zoom, which means less time agonising over where to install in the first place. The PTZ function is also compatible with the Q-See app, meaning a surprising amount of control over your view when you’re away from your home or business. The camera can also be set to cruise a defined route, making it perfect for surveying nearby roads or pathways. The general consensus on this camera seems to be that it’s a high-quality, feature-heavy purchase well suited to business and professional use, or to users looking to cover a lot of ground in larger residences. The camera’s size and comparative complexity make it somewhat unsuited to personal or smaller residential uses, and multiple customers admitted to hiring a professional to help them install it. Much of this was due to the need for minor DIY work during the installation of the PoE cabling, rather than complexity in the design of the product or Q-See software. Despite these issues, reviews tend towards the positive and testimonies focus on the QCN8035Z’s professional quality and reliability. Purchasers seem very satisfied with the image quality in particular, which is important to consider when choosing a wired system over easier-to-install wireless ones. The camera does a great job with motion tracking, with one user stating that they use it to track the license plates of passing cars. With a camera in this price bracket you’re looking for a long-term surveillance solution, and a device with a good combination of durability and features. In this regard, the QCN8035Z certainly succeeds, boasting an enviable list of functions including: digital and optical zoom, backlight compensation, PTZ functionality, remote control, and digital playback. The price for this combination of functions and sturdiness is size: the camera is fairly large. As a result, it’s going to be more at home in a place of business, or on the exterior of larger homes. If you’re not too handy around the house, then the cost of professional installation isn’t going to affect your budget too much for a camera at this price. 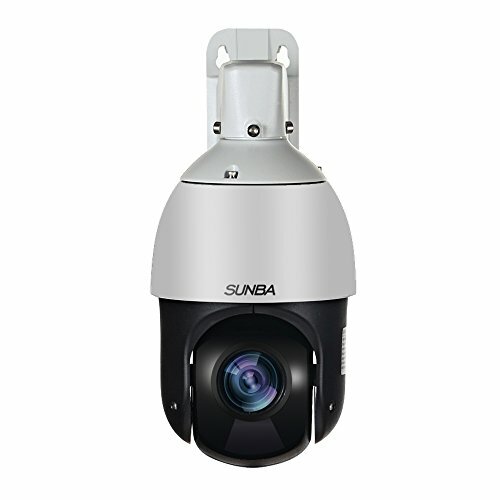 QC NVR and larger camera networks of this type cost up to thousands of dollars, so it’s a worthy investment to make sure they’re installed securely and effectively.